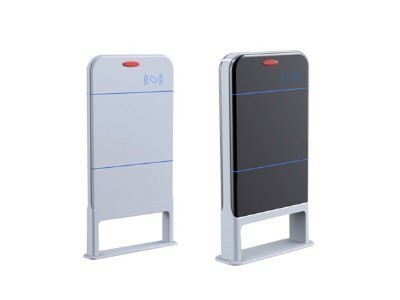 SR-RH-ACS3156 is a high performance new design HF Cascaded Access Control Gate Device. It supports fast process anti-collision and 2 line infrared motion detection of ISO/IEC 15693 protocol tag. Built-in storage feature of SR-RH-ACS3156 record tag-parsing result, so do Multi-gate cascading. Standard RS485 serial communication port and RJ45 (TCP/IP) network port can connect to the host, controller and other associated equipments directly. The series are top choice for open mass flow RFID applications, such as: Access Control, Conference Attendance, Digital Scenic Spots Network Management, etc.